Ingredients are important when writing, but it’s also important to have great resources. Below are some of my favourites. Every writer needs a dictionary. I like to use the built-in one on my laptop, but there’s always the old-fashioned kind, or an online one. Rhyming dictionaries are great fun and handy if you’re mid-poem and stuck for a rhyme. Don’t just pick a word because it rhymes, though; make sure it fits. You don’t want your poem to come out sounding forced. I use Megawords on my phone and laptop. It offers suggestions in order of how much the suggestion rhymes with your word (ranked by percentage), and also does anagrams and crossword solutions. It’s available for iOS, OS X and Android. If you’re like me, you go through phases where you overuse words and forget that that word has any synonyms. Thesauruses stop us from doing this. I use the Dictionary/Thesaurus app. When you’ve got some spare time, write down a list of names you like or find interesting. That way when you’re next writing and stuck for a name, you can refer to that for a quick name (even if it’s just as a placeholder). I also like to use baby naming websites to look up the meanings and origins of character names. My favourites are Behind the Name and BabyNames.com. If I’m writing a character from a particular country, it’s useful to look up popular names from that area. Or, if I’m having trouble naming a character, I like to use this generator for inspiration. It helps to see a name written down, even if it’s not the one you end up using in your final draft. Remember, characters can always be renamed. Copyblogger is one of the best writing-related blogs out there. If you’re looking for another source of inspiration, I’d definitely give Copyblogger a visit. It’s been around since 2007, but many of its older articles are as relevant as their more recent ones. Topics include freelancing, marketing, copywriting, motivation and inspiration. I love the Hemingway App. 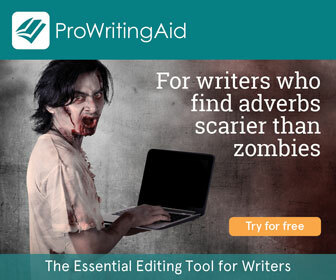 It’s the best online proofreader that I’ve found. It’s easy to use, easy to follow, and it’s named after Ernest Hemingway. Grammarly is similar to Hemingway, but I’ve found it’s been wrong on a couple of occasions, so I don’t rate it quite so highly. However, they deserve a mention because their blog and Facebook page are great entertainment for any writer or grammar nerd. I hate spellcheck and autocorrect. They end up creating more errors than they do fixing them. How will anyone ever improve on their spelling and grammar if something is fixed automatically? Most people probably don’t even notice when it changes what they’ve written unless it changes it incorrectly. If you really want to improve, turn it all off (except the red squiggly line that’s actually useful). Read over your work and use the resources above instead. You’ll be writing better in no time! Having the right resources is imperative for when you’re writing. It makes it easier to solve a problem when you’re stuck, and can save you time looking for names, coming up with ideas, and stop you from silly errors. Are there any resources that you use that I’ve missed from the list? Why do you love them?